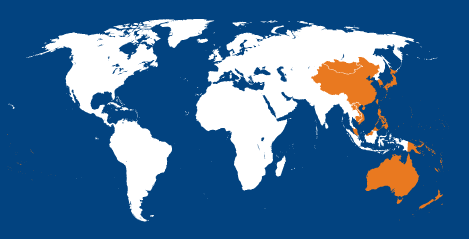 The Western Pacific Region covers a wide mix of countries in the Pacific, Oceania and parts of Asia. With a population of more than 1.7 billion people, the region stretches over a vast area, from China and Mongolia in the north, to New Zealand in the south. In many Western Pacific countries the infectious eye disease trachoma has been eliminated as a public health problem, but research, surveillance and programmes continue in several hot-spots. With a large ageing population, glaucoma, macular degeneration and diabetic eye diseases are also significant causes of vision loss in the Western Pacific, and call for new care strategies and services to manage low vision. For more information on our work, view IAPB’s Western Pacific Regional Strategy. Also read: How is the Western Pacific working towards Universal Eye Health? A Case study and a Summary of Regional Progress.